Australia is the world’s largest island and its smallest continent. This is a country the size of the United States of America, spanning three time zones, yet with barely twenty-three million inhabitants. It is an ancient land, geologically one of the oldest on earth, and was first populated by the Aborigines and Torres Strait Islanders. British colonialism in the 18th century bought with it its first waves of Anglo-Saxon settlers, while today Australia is very much an ethnic melting pot with large migrant populations hailing from India, China, the Philippines, Pakistan, Ireland and more. Beliefs like being “fair dinkum” (being honest, up-front, a person who keeps to his or her word) go back to the pioneering days, and is still valued today. And while Australians love for self-deprecating humour is also still going strong, traditional Ozzy concepts such as the "cultural cringe" and a social aversion to "Tall Poppies" have certainly changed as Australian society and its values have developed over recent decades. This book sets out to provide more than just the nuts and bolts of where to stay, what to see, and how to travel. Culture Smart! guides are written for true travelers who want to understand the beliefs and attitudes of the people they meet: to learn from them, and to absorb the human dimension of the country. Culture Smart! 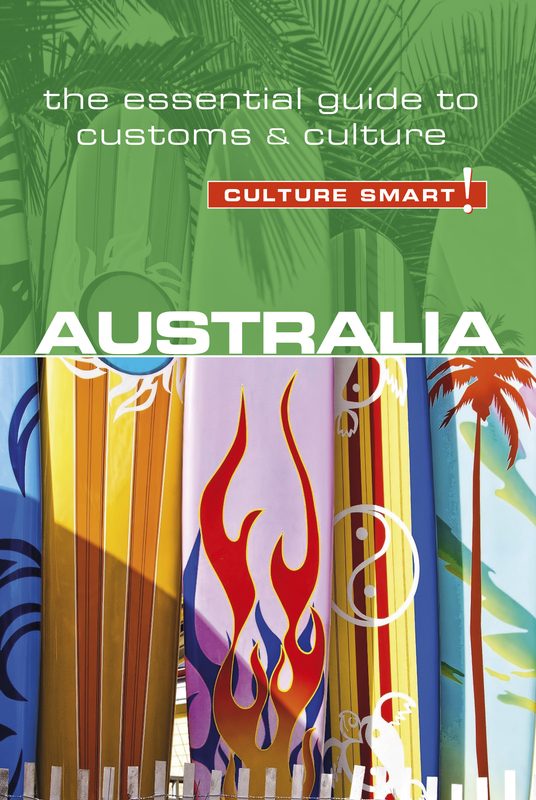 Australia provides the necessary background information to enable you to put a human face on the country and its people; to communicate; to enjoy the culture; to make friends; to navigate its business culture, and to form lasting relationships. It is an article of faith in Australia that all visitors must be able to take a joke. Learning to laugh at yourself, your country, and generally not taking yourself too seriously will stand you in good stead in a country that holds little sacred when it comes to humour!